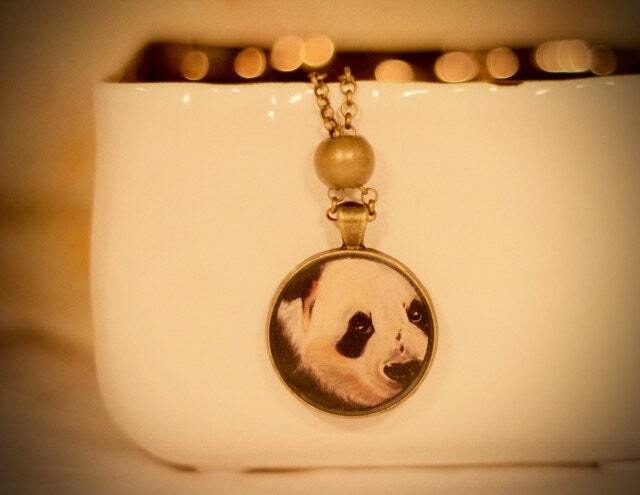 A panda pendant looks good with everything! Original panda artwork, incased in a resin pendant. Pendant size is roughly 1.5in x 1.25in and the necklace itself is gun antique gold chain. The length of the chain is approx. 20" in length and finished on the ends with lobster claw clasps.